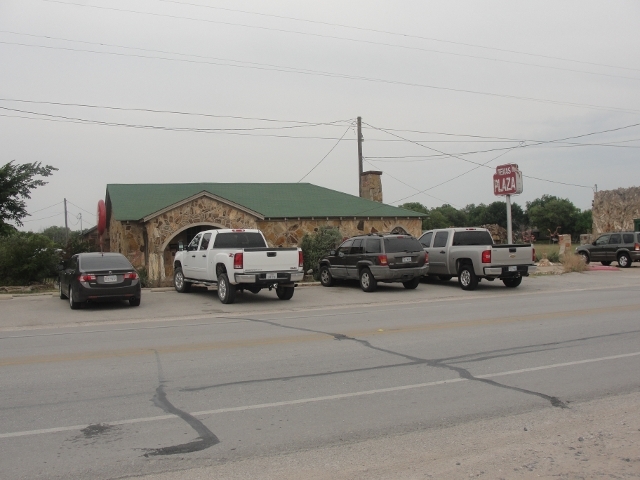 Local businessman E. F. Boydston (1888-1945) purchased this site, a former feed lot, in 1927 for $400. 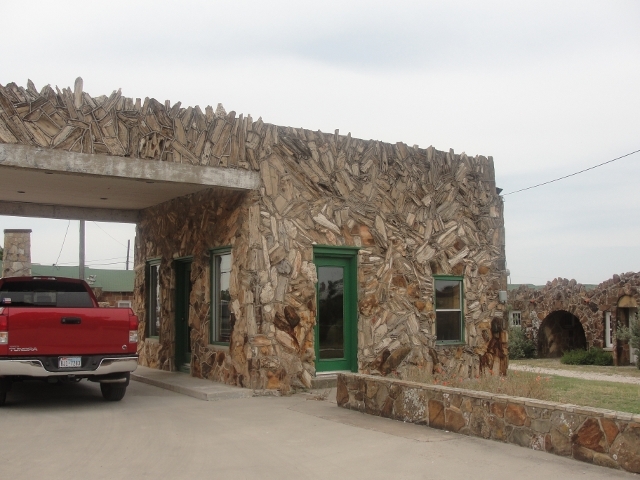 Recognizing a potential business opportunity in offering services to the traveling public, he built a wooden shed and gas station in 1927. Travelers were allowed to build campfires during overnight stays, and by 1931 Boydston added three wooden cabins with garages to the camp complex. 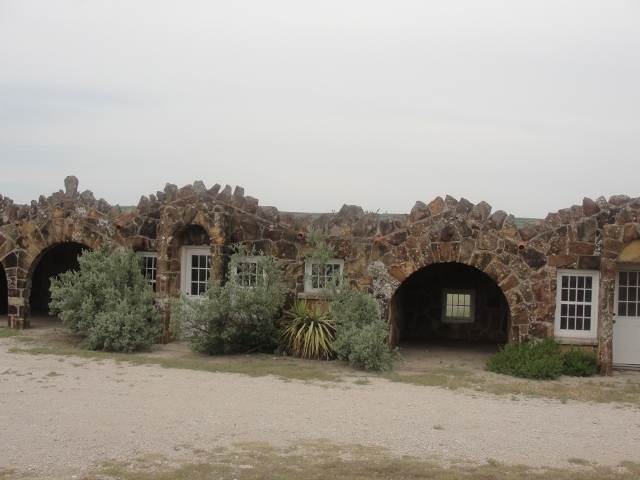 The buildings later were faced with rock, and more cabins and garages were added in 1935. 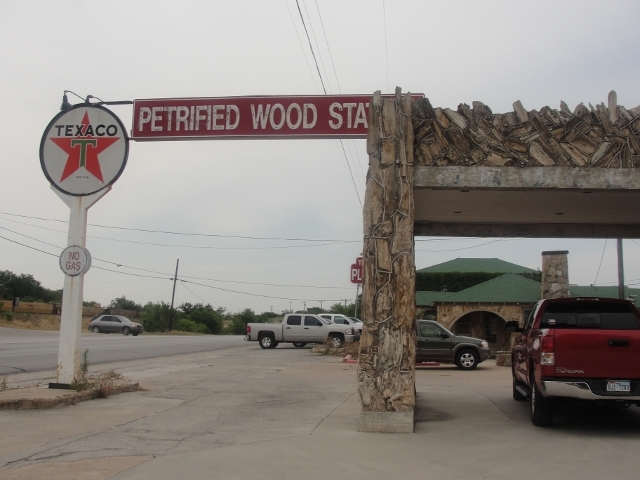 The original wooden gas station was covered with petrified wood in 1935 when the highway was widened and remained in operation by the Boydston family until 1988. 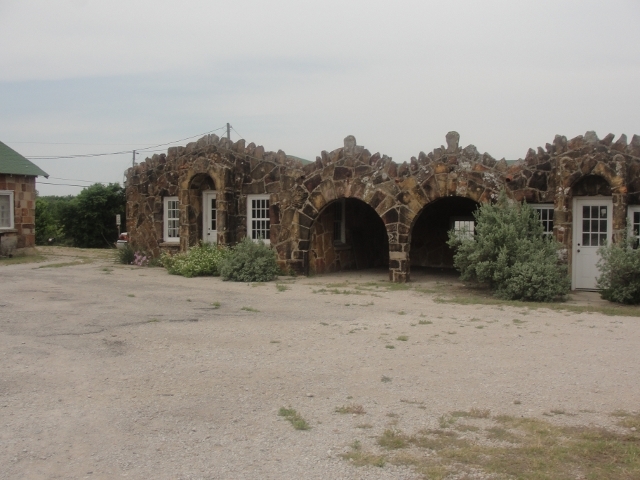 The Texas Lunchroom, a one-room frame building, was built in 1929. 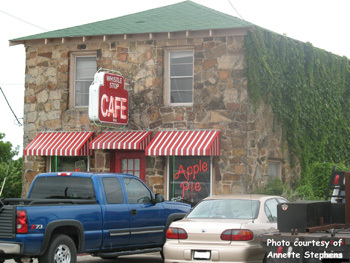 Renamed the Texas Cafe in 1935 and faced with stone to match other buildings in the complex, it was enlarged to provide second-floor living quarters. Popular with local high school and college students, as well as families and the traveling public, it was closed in the 1960s after a highway bypass built west of town diverted traffic from this area. The cafe reopened in 1993. 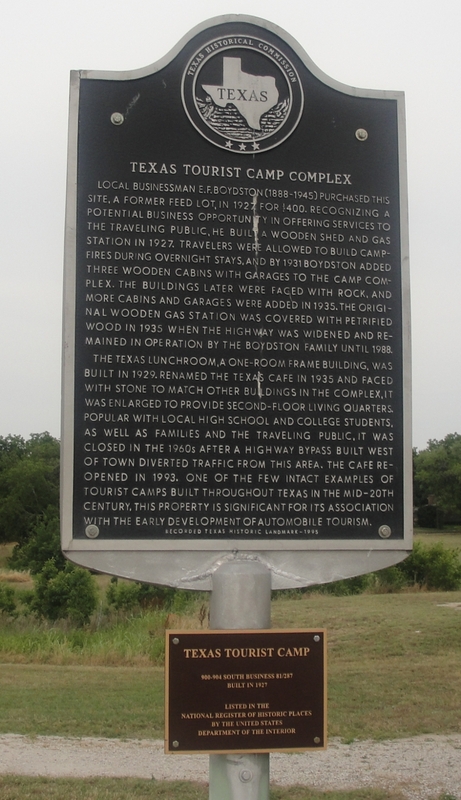 One of the few intact examples of tourist camps built throughout Texas in the mid-20th century, this property is significant for its association with the early development of automobile tourism.